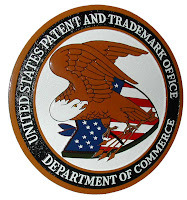 After the USPTO's Memorandum of June 28, 2010 for guidance of Patent Examiners and some debate on whether or not the memorandum involves a reversal of the burden of proof, the USPTO today published an "Interim Guidance for Determining Subject Matter Eligibility for Process Claims in view of Bilski v. Kappos" (Interim Bilski Guidance) for its personnel to use when determining subject matter eligibility under 35 U.S.C. § 101 in view of recent Supreme Court opinion Bilski v. Kappos. The Interim Bilski Guidance is effective July 27, 2010, and applies to all applications filed before, on or after that date. What are examples of claims that do not meet the machine-ortransformation test but nevertheless remain patent-eligible because they do not recite an abstract idea? What are examples of claims that meet the machine-or-transformation test but nevertheless are not patent-eligible because they recite an abstract idea? The § 101 patent-eligibility inquiry is only a threshold test. Even if an invention qualifies as a process, machine, manufacture, or composition of matter, in order to receive the Patent Act’s protection the claimed invention must also satisfy ‘‘the conditions and requirements of this title.’’ § 101. Those requirements include that the invention be novel, see § 102, nonobvious, see § 103, and fully and particularly described, see § 112.
under the principles of compact prosecution, each claim should be reviewed for compliance with every statutory requirement for patentability in the initial review of the application, even if one or more claims are found to be deficient with respect to the patent eligibility requirement of 35 U.S.C. § 101. Thus, Office personnel should state all non-cumulative reasons and bases for rejecting claims in the first Office action. According to Gene Quinn and his related IP Watchdog blog post, this "should be music to the ears of the patent bar and applicants", since "the way that the Patent Office and many patent examiners have interpreted business methods and computer implemented methods over the last few years suggests that this change in examiner guidance could be monumental, [since] examiners and the Patent Office for years have [...] largely ignored basic principles of patent law".